China is the world’s largest country by population standing at 1.3 billion as of 1st of June 2018. From 1979 until 2010, China’s average annual GDP growth was 9.91%, reaching a historical high of 15.2% in 1984. The sheer market size of the country represents huge opportunities for businesses and the people that they hire. 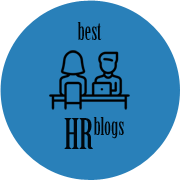 With innovative HR Techs such as Zhanjob.com, umianbao and Birdwork tackling a fast-growing economy with billions of hungry employees, you can imagine the vibrancy of their HR Tech scene. 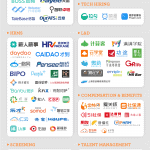 With the recent launch of Adecco Group X (the Adecco Group’s digital innovation unit) in the Asia Pacific, we undertook a quick market study and identified 100+ businesses of appropriate stature to still be called Startups or growth stage businesses. 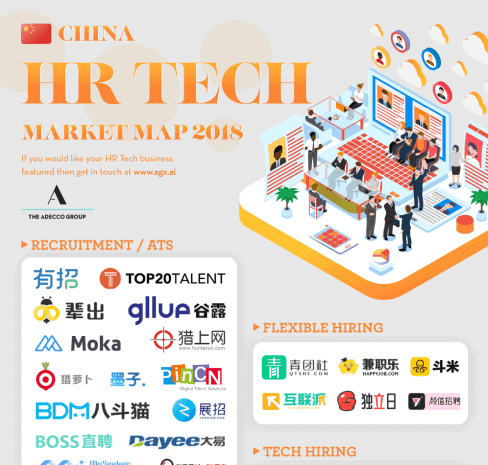 Attached is our market map for China 2018 which is dominated by players in HRMS and recruitment.